Mobile dock ramp is usually used together with the forklift to loading and unloading cargo from the truck. 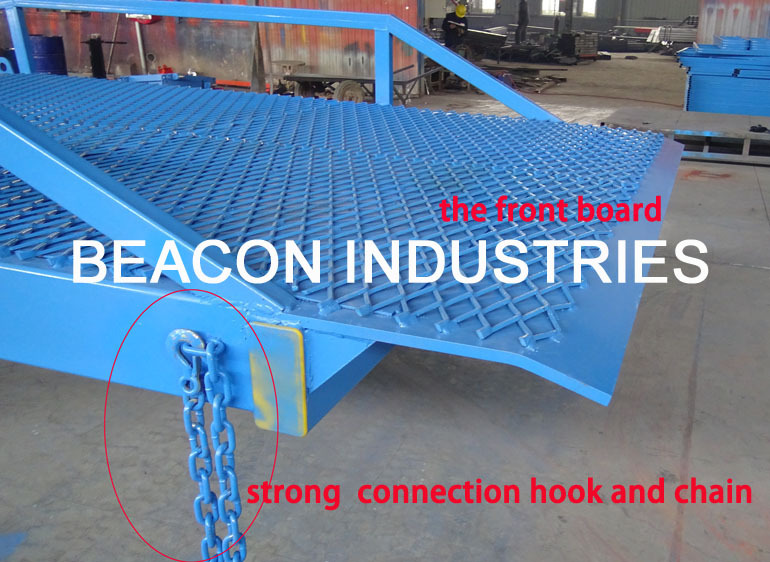 the ramp can be operated by single person easily, so it will saving much labor and work efficient. Its height is adjustable according to the vehicle compartments,the arrange from 800-1700mm.It is popular used for factory,warehouse,whaft,logistics center,station and so on. The regular model of this ramp is:length-10.8m,width-2m,adjustable height:800-1700mm loading capacity is 6T 8T 10 T 12T 15T 20T. Also we can design and produce according to customer's requirement.